Listen to "The Formula: How Algorithms Solve all our Problems... and Create More" on your iOS and Android device. A fascinating guided tour of the complex, fast-moving, and influential world of algorithms-what they are, why they're such powerful predictors of human behavior, and where they're headed next. Algorithms exert an extraordinary level of influence on our everyday lives - from dating websites and financial trading floors, through to online retailing and internet searches - Google's search algorithm is now a more closely guarded commercial secret than the recipe for Coca-Cola. Algorithms follow a series of instructions to solve a problem and will include a strategy to produce the best outcome possible from the options and permutations available. Used by scientists for many years and applied in a very specialized way they are now increasingly employed to process the vast amounts of data being generated, in investment banks, in the movie industry where they are used to predict success or failure at the box office and by social scientists and policy makers. What if everything in life could be reduced to a simple formula? What if numbers were able to tell us which partners we were best matched with - not just in terms of attractiveness, but for a long-term committed marriage? Or if they could say which films would be the biggest hits at the box office, and what changes could be made to those films to make them even more successful? Or even who is likely to commit certain crimes, and when? This may sound like the world of science fiction, but in fact it is just the tip of the iceberg in a world that is increasingly ruled by complex algorithms and neural networks. 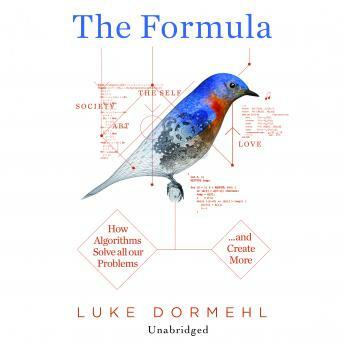 In The Formula, Luke Dormehl takes listeners inside the world of numbers, asking how we came to believe in the all-conquering power of algorithms; introducing the mathematicians, artificial intelligence experts and Silicon Valley entrepreneurs who are shaping this brave new world, and ultimately asking how we survive in an era where numbers can sometimes seem to create as many problems as they solve.